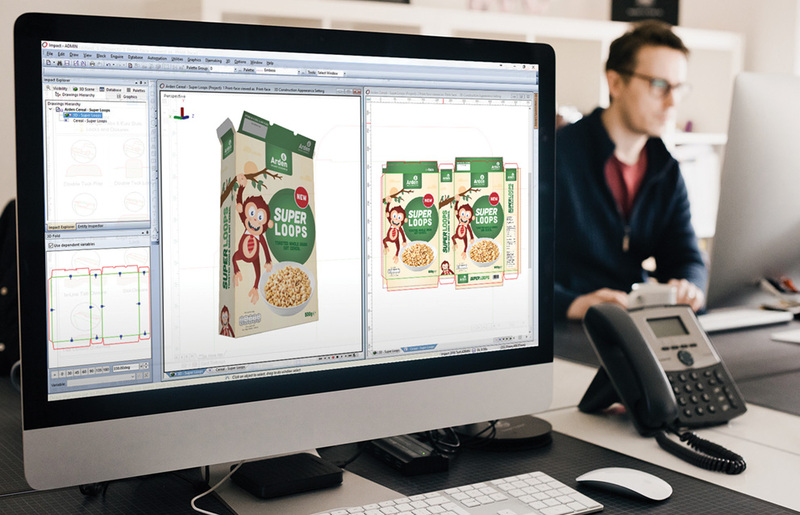 Impact CAD software has been created in order to make life easier for packaging designers. It has been developed based on our real world experience of packaging design and feedback from our customers. Starting from scratch on a project is time consuming and often unnecessary. You’ll be able to access a library of existing designs that are easily customisable to your current project. The designs available cover every industry standard and take into account the materials you will be working with from corrugated to card. You no longer need to recreate common parts and can instead concentrate on developing something unique. Parametrically driven, if one element of your design changes the system understands the need to change other elements. Typical CAD software doesn’t take into account the challenges of designing for packaging. In the real world materials act in different ways. Our intelligent tools simplify the process. Say goodbye to unresponsive geometry and welcome lines that react automatically to your needs. When you’re looking to get approval for your designs, it’s so much easier when your customer is able to understand the reality of the packaging. Impact is great for soft proofing, allowing you to create virtual 3D samples and animated prototypes that can be shared with the customer, who can then see exactly how everything fits together. 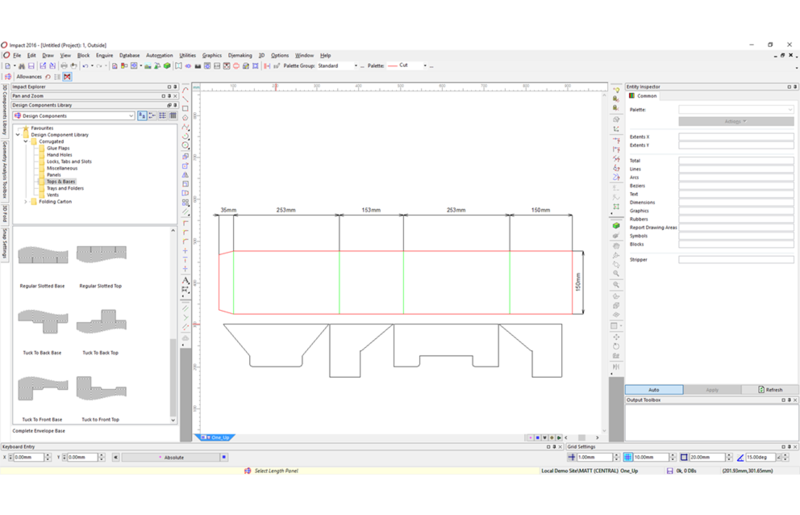 Of course, you can also create 2D designs and physical prototyping is straightforward with software that’s fully compatible with your plotters. Impact has the ability to evolve as you evolve. Suitable for both individuals and teams, our supporting suite of software allows Impact to stretch to meet your future needs. Add our Enterprise package to enable effective collaboration across multiple sites and users. WEBcnx provides automatic project management that allows you to get rapid approvals and input from everyone involved. 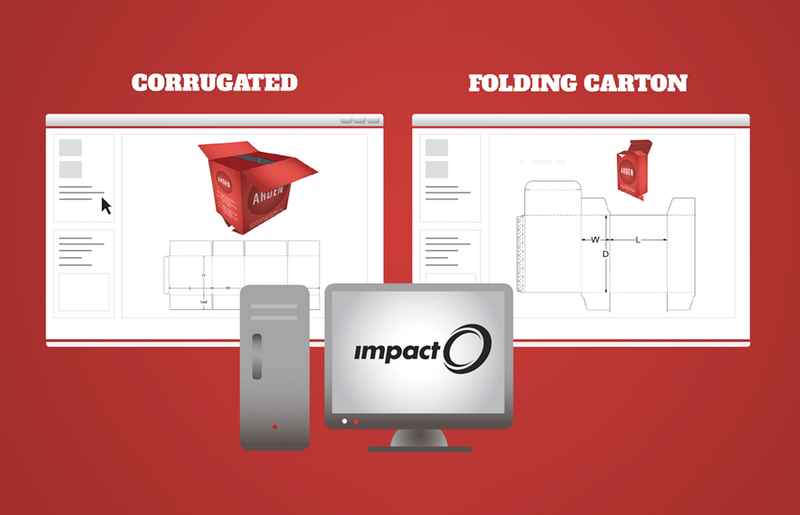 You can also be sure that Impact will handle the latest file formats, both 2D and 3D. Our software is regularly updated in order to enhance its features and maintain broad compatibility with all your systems and hardware.